KINGSTON, Jamaica, July 10, CMC – Heads of Government of the Caribbean Community (CARICOM) have put measures in place to fast-track the full implementation of the CARICOM Single Market and Economy (CSME). Among the strategies is a special meeting of CARICOM Heads to focus solely on the CSME, to be held in Trinidad and Tobago in November. 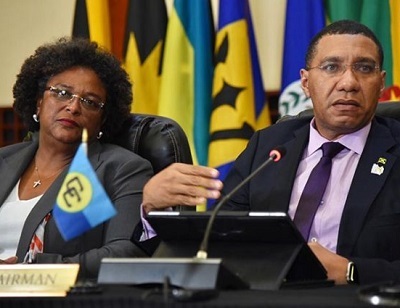 CARICOM Chairman, Jamaica’s Prime Minister Andrew Holness, added that the Prime Ministerial Sub-Committee on the CSME will now have quarterly meetings beginning in September in Barbados, which will be hosted by Prime Minister Mia Mottley “to give urgency to the implementation process”. 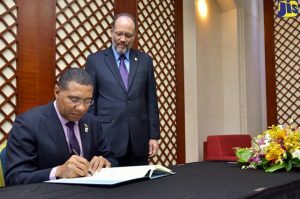 “As leaders, we expect that these matters will be ready for full adoption at the 40th meeting of [CARICOM Heads of Government] in July 2019.These mechanisms will enable strong support measures for a successful CSME,” Holness said. He also stressed the Heads’ recommitment to making the mechanisms within CARICOM work, by taking decisive action. MONTEGO BAY, Jamaica, Jul. 7, CMC – Chairman of the Caribbean Community(CARICOM), Jamaica’s Prime Minister Andrew Holness, on Friday signed three agreements pertaining to matters of the regional body. The signing took place during the 39th Regular Meeting of the Conference of Heads of Government of CARICOM that ended here on Friday. One agreement relates to the CARICOM Arrest Warrant Treaty, which seeks to establish a system of arrest and surrender of requested persons within the Community for the purposes of conducting a criminal prosecution for an applicable offence; or executing a custodial sentence where the requested persons have fled from justice after being sentenced for an applicable offence. Another pertains to the Revised Agreement for the Establishment of the Caribbean Examinations Council (CXC). This seeks to update the CXC’s legal structure in light of subsequent organisational practices, recent market developments and current needs, with particular emphasis on accommodating requests from additional territories and institutions to join or otherwise participate in the CXC. The other document is the Protocol amending the Revised Treaty of Chaguaramas to incorporate the Council for National Security and Law Enforcement as an organ of the community and the CARICOM Implementation Agency for Crime and Security as an institution of the community. The Revised Treaty of Chaguaramas establishing CARICOM, including the CARICOM Single Market and Economy (CSME), was signed in 2001. Among the objectives, are improved standard of living and work in member countries; accelerated, coordinated and sustained economic development; and organisation for increased production and productivity. The Conference of Heads of Government, which consists of the Heads of Government of the Member States, is the supreme organ of the CARICOM and determines and provides its policy direction. “The public is hereby cautioned that the operation of Bitcoin ATMs or any other sort of cryptocurrency operations is not currently regulated by the ECCB, the FSRC St Kitts and Nevis or by any regulatory authority in the Eastern Caribbean Currency Union (ECCU). In addition, bitcoin or any issuer of bitcoin has not been designated under the Payment System Act in St Kitts and Nevis. This means that there are no existing regulations to specifically protect consumers from financial losses if an organisation that exchanges or holds virtual currencies fails or goes out of business. “In other words, persons who choose to use these services or are contemplating use of these services ought to understand that they do so completely at their own risk. The extent of this risk, at this point in time, is not fully known given the novelty of the area and the absence of regulatory oversight. The ECCB issued the advisory on 5 June, 2018 recognising developments in the FinTech space and encouraging consumers to be cautious in their use. Indeed, the consuming public was asked to consider several questions when considering involvement. Click here for more: (https://www.eccb-centralbank.org/news/view/eccb-advisory-on-fintech-operations-in-the-eccu). The ECCB and the FSRC recognise that financial innovation is essential, however the appropriate legal and regulatory framework is necessary to protect the integrity of the financial system and investors and consumers alike. At this stage, the ECCB, as a regional regulator, is pressing ahead with its work to advise the Governments of the ECCU on an appropriate regional framework for FinTech regulation and supervision as well as a strategy to reduce the use of cash to help boost growth and competitiveness. To this end, the ECCB will be working with other national regulators within the ECCU to adopt a common approach. CASTRIES, St. Lucia, Jun. 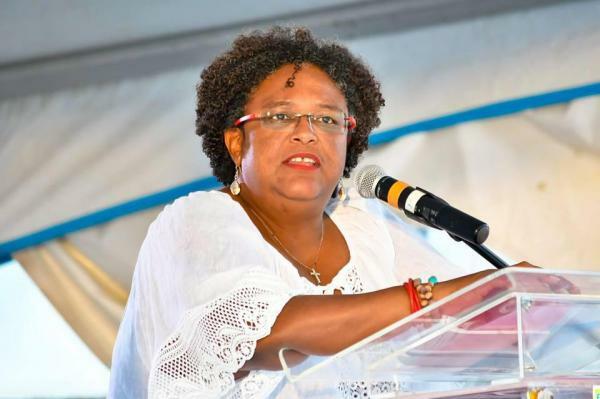 19, CMC – The Prime Minister of Barbados Mia Mottley, has signaled her intention to deepen political and economic cooperation with the nine nation Organisation of Eastern Caribbean States (OECS). In her first address outside of Barbados since assuming office, Mottley told representatives of the 65th Meeting of the OECS Authority which began its working session here Tuesday, that her administration wanted mutually beneficial solutions to critical issues such as climate change, freedom of movement and transportation challenges. She told the gathering which included leaders of all nine member OECS states, with the exception of Prime Minister Roosevelt Skerrit of Dominica who was expected later Tuesday, of the need to resolve climate change issues, pointing to the influx of sargassum seaweed as an opportunity for economic benefit, rather than treating it as a problem that affects our coast and tourism industry. She said that freedom of movement was another pressing concern, and finding a way forward for the regional airline LIAT. She said from her country’s perspective, one of the troubling concerns was the inability of persons who were in-transit in Barbados for more than two hours, to clear immigration. “It makes no sense, because it hurts the extent to which those who visit our shores are capable of contributing to our economic activity in our country. “To that extent prior to traveling here, I have asked what are the legal obstacles preventing the movement of people who are in-transit within our air and sea ports, who are being precluded from leaving the ports, but I am yet to receive an answer that makes sense,” she told the leaders. “If you are at a point of entry for 6 or 8 hours there is no reason to be treated as a prisoner of war within the precincts of our region,” Motley insisted. She however noted that she would do so, cognizant of the fact that modalities that were relevant decades ago cannot continue to be relevant as countries enter the third decade of the 21st Century. Motley suggested that a review of government structures was absolutely critical if the region is to ensure the viability of an airline that serves as the lifeblood of this region. “Similarly it is time that we stopped just talking about inter-island ferry transportation and get on with establishing this vital service. Meanwhile, Mottley and the heads of Governments of the OECS were also meeting Tuesday in caucus for dialogue on better ways of collaboration between Barbados and the OECS. The agenda for the 65th Meeting includes critical areas related to climate change among them the problem of sargassum where the OECS hopes to initiate a regional approach. “We are going to be discussing ways in which the member states can work effectively together to do clean-ups of the beaches and areas affected by sargassum but more importantly how do we turn this problem into an opportunity,” said OECS Director General Dr. Didicus Jules told journalists Monday. He said building resilience in the Caribbean is also high on the agenda in terms of, not just infrastructure but economic, social and community resilience. A presentation is expected by the Caribbean Climate Smart Accelerator Group which has been assisting the Caribbean in becoming the first climate smart region. During the OECS meeting, the work programme of the OECS will also be under review. St. Lucia’s Prime Minister Allan Chastanet will hand over to incoming chairman, Prime Minister of Saint Vincent and the Grenadines, Dr. Ralph Gonsalves. The OECS is made up of seven full Member States, Antigua and Barbuda, Dominica, Grenada, Montserrat, St. Kitts Nevis, St Lucia and St. Vincent and the Grenadines; and three Associate Member States: the British Virgin Islands, Anguilla and Martinique, all of whom are expected to be represented at the summit. BASSETERRE, St. Kitts, Apr 20, 2018, CMC – A High Court judge Friday set May 30 for the start of the case in which the St. Kitts-Nevis government is seeking to oust former prime minister Dr. Denzil Douglas from the Parliament on the grounds that he is a citizen of the Commonwealth of Dominica. Douglas has already called on the Court to dismiss the application noting that “in the affidavit that I have sworn, I have asked the court not only to dismiss the charges that have been brought by the Attorney General, but also with costs because they must pay for wasting the court’s time”. 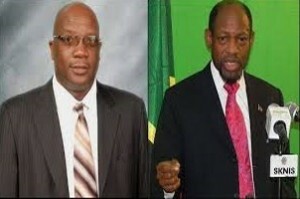 The St Kitts-Nevis government, through the Attorney General, Vincent Byron, is seeking a declaration from the High Court that, since the election to the National Assembly on February 16, 2015, Douglas became disqualified from being elected as a member of the National Assembly and was accordingly required to vacate his seat in the National Assembly by reason of his becoming a person who, by virtue of his own act, is in accordance with the law of Dominica, under an acknowledgment of allegiance, obedience or adherence to a foreign power or state, namely, Dominica. Additionally, the government is also seeking a declaration that Douglas has vacated his seat in the National Assembly; an injunction restraining him from taking his seat in the National Assembly and from performing his functions as a member as well as costs, and other relief as the court may deem just and expedient. Prime Minister Dr Timothy Harris has described the matter of one of grave constitutional, political and parliamentary significance to the Commonwealth. When the matter came up for hearing on Friday, Justice Trevor Ward ruled that submissions should be made by May 11 with the matter to be heard on May 30. Senior Counsel Anthony Astaphan, who is a member of Douglas defence team, said that his client had agreed to disclose the number of times that he had travelled on the diplomatic passport “because he said in his evidence he had in fact used the passport for convenience and travel…. “We insisted that we are not going to have the document disclosed in the High Court proceedings, we are not going to have it filed with the Registrar, we are not going to have it filed in the registry for copies to be made and a political pappyshow made out of the passport,” Astaphan said, describing as “absolutely deceitful, deception and fraudulent” a media report on the events that occurred in the Courts on Friday. He told reporters that he had agreed with Trinidadian-based Senior Counsel Douglas Mendes “that we would disclose in writing the number of times Dr. Douglas travelled , dates and so on and that after that is done we will submit the diplomatic passport to the judge for the judge to verify that the information that we are volunteering is accurate. “Our initial position was that the Court had no jurisdiction to compel us to disclose anything and that is why the order before the judge was by consent ….and not mandatory or any order by the court imposed on us, ”he added. Astaphan said that the media report “gives further support to us on Dr. Douglas side that this is all a piece of political manoeuvring to try score political points perhaps where things are not going the way the Honourable Prime Minister and his government would wish to go”. Douglas has already indicated that the outcome of the Court matter will enable the main opposition St Kitts-Nevis Labour Party (SKNLP) “to settle down and pursue a spirited election campaign to remove the dictatorship from this land led by Prime Minister Dr Timothy Harris”. Posted on 18 March 2018. The Access Division has made arrangements to ensure persons leaving Montserrat in the coming days make their international flight connections in Antigua. On Monday March 19th, 2018, the MV Lovely 1, with a capacity of 350, will leave Montserrat at 7:00am. Passengers are advised to check in 2 and a half hours before departure to allow early boarding of the vessel. The MV Lovely 1 will depart Antigua at 3:00pm with passengers for Luciano’s show at Salem Park. On Tuesday March 20, 2018, the MV Lovely 1 will depart Montserrat at 7:00am. Check in time is at 4:30am to facilitate the early departure of the vessel. The MV Jaden Sun will be on standby in the morning and will take additional passengers to Antigua if necessary. The ferry is however, scheduled to depart Montserrat at 5:00pm; leaving Antigua at 7:30pm. On Wednesday March 21, 2018, the MV Jayden Sun will depart Montserrat at 6:30am and arrive in Antigua at 8:00am. The MV Jayden Sun will then leave Antigua at 7:00pm and arrive in Montserrat at 8:30pm. Two trips will be scheduled on Wednesday if necessary. For more information please contact Mr. Roosevelt Jemmotte on 496-9912 or Crenston Buffonge on 392-8731. Lewis Bennett is pictured in an undated booking photo released by the Broward Sheriff’s office in Florida. By examining photos and video the U.S. Coast Guard took of the catamaran before it sank, an expert hired by the FBI to help in the high-seas mystery determined Bennett’s story couldn’t be true. “Based on the analysis it does not appear the vessel sinking was caused by accidental damage. 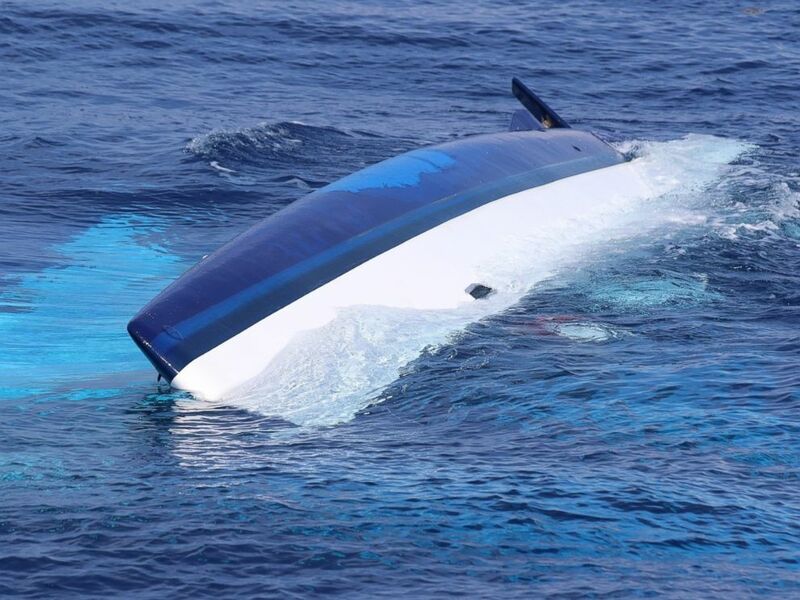 Rather, it appears the vessel was intentionally scuttled,” an associate professor of nautical architecture and ocean engineering at the U.S. Coast Guard Academy stated in court records. 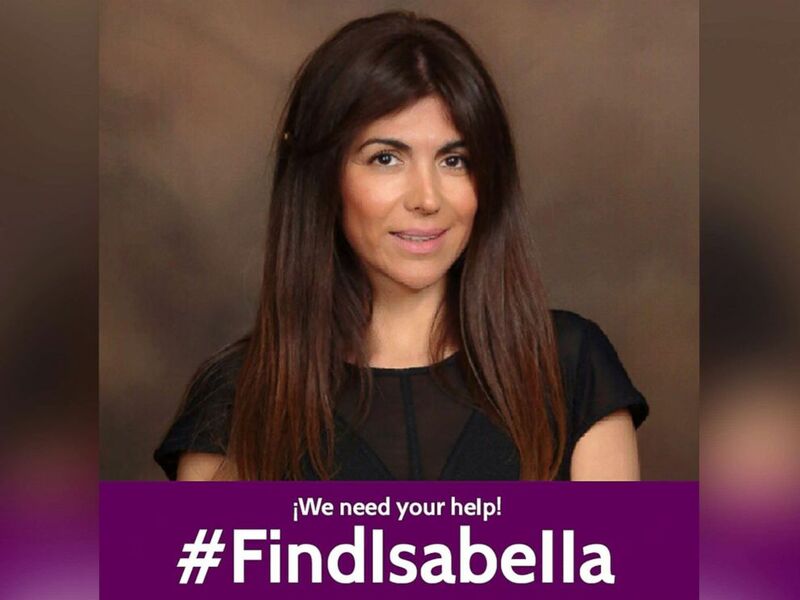 Isabella Hellman is pictured in an undated photo posted to the Find Isabella Facebook page on June 1, 2017. “I respectfully submit that there is probable cause to believe that Lewis Richard Bennett knowingly and unlawfully killed Isabella Hellman with malice aforethought within the special maritime and territorial jurisdiction of the United States,” FBI Special Agent James Kelley wrote in the criminal complaint. 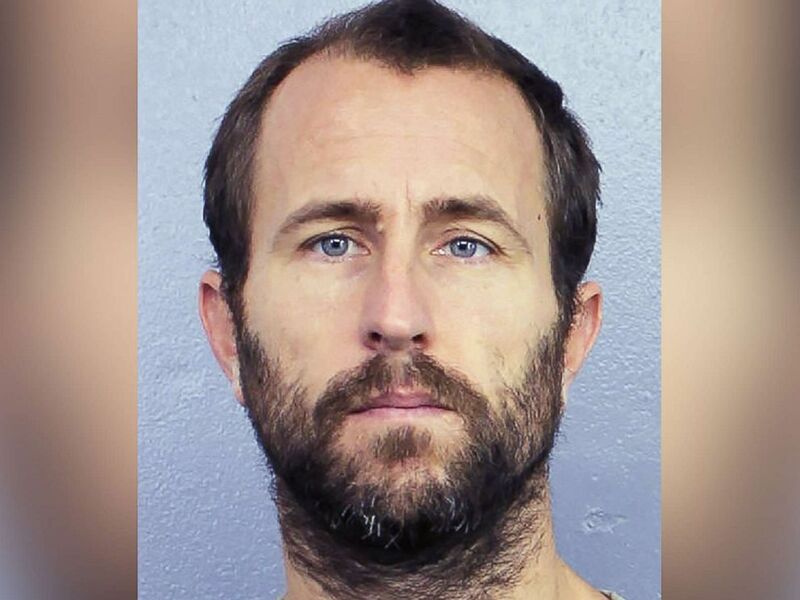 Investigators suspect Bennett killed his 41-year-old wife in order to collect on an insurance policy and take sole possession of their marital assets, including bank accounts and a home she owned in Delray Beach, Florida, according to court documents. He also raised suspicions when he asked the Coast Guard for a “letter of presumed death” on the day they called off the search for his wife, four days after she disappeared, according to the complaint. Isabella Hellman’s body was never found despite a 4,900-square-mile search for her conducted by the Coast Guard. Bennett told investigators that he and his wife began their sailing trip from the Caribbean island of St. Maarten, journeyed to Puerto Rico and arrived in Cuba. They spent a day in Varadero, Cuba, before charting a course back to Florida on the evening of May 17, 2017, the complaint said. He claimed they had planned to either sail to Key West or Fort Lauderdale and around 8 p.m. he set the “auto pilot” on the vessel, told his wife to take watch on deck and headed below to sleep, according to the documents. Bennett told investigators he noticed the vessel was taking on water, so he gathered his personal belongings — including unexpended parachute flares, water, a tea set, and nine plastic tubes containing silver coins — and abandoned ship, jumping into a life raft and cutting himself adrift from the sinking catamaran, the court documents state. When asked during a May 23 interview with investigators what efforts he took to locate his wife in the water, “Bennett said that he did not do anything,” the complaint said. Instead, he used a satellite phone to call one of wife’s sisters, leaving her a voicemail informing her of Hellman’s disappearance, the complaint said. He then contacted a friend in Australia and asked that they contact the U.S. Coast Guard on his behalf, the complaint said. “Bennett then made telephonic contact with USCG while awaiting his rescue,” Kelley noted in the complaint. Bennett was arrested for his wife’s murder on the same day Hellman’s parents and sisters sent a letter to federal Judge James Lawrence King complaining that Bennett has kept them away from his daughter, Emilia. 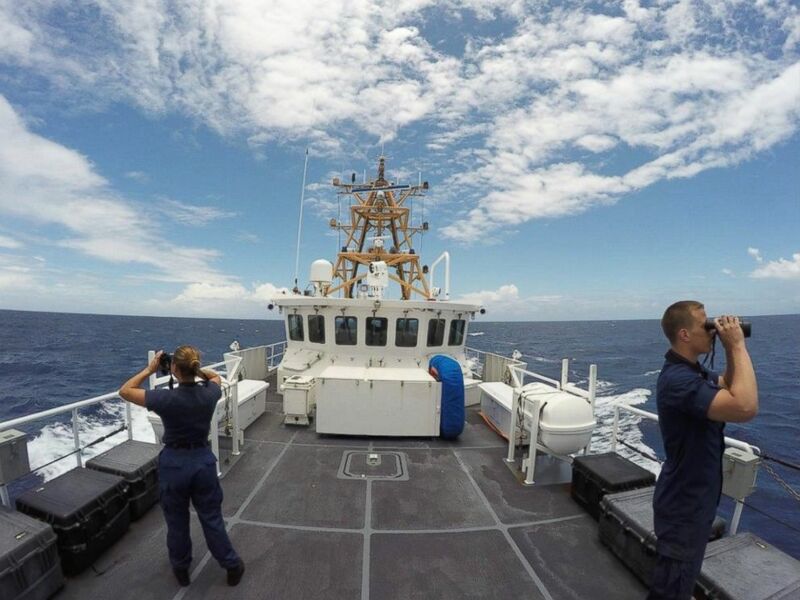 Members of the Coast Guard search for Isabella Hellman west of Cay Sal, Bahamas, May 17, 2017. In his statement, Kelley indicated that Bennett’s story of his catamaran crashing into something in open waters raised suspicions. He said, according to the complaint, that the catamaran’s two escape hatch portholes were inexplicably opened and that holes seen in both hulls were almost identical, according to the complaint. “I cannot think of any item that would accidentally cause similar holes in both hulls at roughly the same time,” the FBI’s nautical architecture and ocean engineering expert noted in the complaint. SAN JUAN, Puerto Rico, Jan. 10, CMC – Forty undocmented aliens from the Dominican Republic and Haiti were intercepted by the U.S. Border Patrol, U.S. Coast Guard and the Puerto Rico Police Department on the weekendd as they attempted to reach Puerto Rico. On Tuesday, security officials reported that on January 5, border patrol agents detected a vessel without navigational lights moving towards Aguada, Puerto Rico. The agents coordinated for intercept with the US Coast Guard Command Center, and the PRPD Joint Forces of Rapid Action (FURA, for its Spanish acronym). A FURA vessel intercepted a “yola” type vessel approximately four miles off the coast of Aguada, finding total of 12 undocumented migrants; four adult male Dominican Republic nationals, five adult female Dominican Republic nationals and three adult male Haitian nationals. 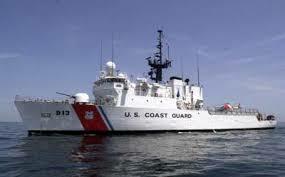 The group was detained and subsequently transferred to a Coast Guard Cutter. Upon completing embarkation of 12 aliens ,the cutter crew identified and intercepted a second vessel with 28 subjects on board. They were all detained and subsequently transferred to another vessel. Biometric checks were conducted on all subjects and revealed that 10 aliens met the guidelines for prosecution related to prior criminal and immigration violations. On Monday, the Coast Guard transferred 10 aliens to Border Patrol custody at the Mayaguez Port of Entry. The remaining 29 undocumented aliens were repatriated to the Dominican Republic. So far this year, Border Patrol Agents have apprehended 89 aliens that have illegally entered or attempted to enter the United States via the Mona Passage. 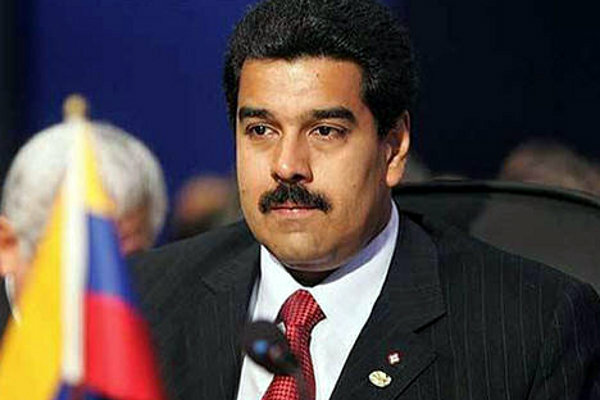 CARACAS, Jan 7, CMC – Venezuela’s President Nicolás Maduro has ordered a temporary shutdown of air and maritime traffic with three Caribbean neighbors, accusing smugglers there of seeking to plunder his South American country. In a televised address on Friday, Maduro said he had halted all flights and ship traffic to the Dutch Caribbean islands of Aruba, Bonaire and Curaçao, known as the “ABC islands,” for 72 hours. He accused the three countries of running black markets by siphoning everything from copper to food before selling the items. The islands, which are short distances from Venezuela’s northern coast, have long hosted black markets for Venezuelan contraband, trading everything from illegally-mined minerals to narcotics, however, in recent times, the islands have become better known as the landing site of boats of Venezuelans fleeing the country. According to reports, many refugees have fled illegally, so the closure is unlikely to stop those departures but it will prevent Venezuelans wishing to travel by air at a time when many airlines refuse to fly to the country because of safety concerns. Aruba is the site of a large refinery that Citgo, the American subsidiary of Venezuela’s state oil company, has been touting plans to refurbish. Maduro has closed borders in the past after alleging that smugglers were robbing the country, especially at times when his government faces problems. In late 2016, Maduro shut down the border with Colombia, alleging that mobsters there were hoarding currency, the paper said, adding that, the previous year, he had ordered a longer and declared a state of emergency along the same border, saying that food, fuel and other goods were being smuggled there. The measures had little effect on smuggling in the area, residents said, but did prevent many thousands of Venezuelans from crossing the border to buy food during shortages. Presently, Venezuela is also struggling with hyperinflation and the Maduro administration ordered more than 200 supermarkets to cut prices back to last month’s levels. CASTRIES, St. Lucia, Dec 11, CMC – The St. Lucia government says it will soon introduce new tax reform measures after the island was included among 17 countries worldwide on a new global list of tax havens by the European Union. Minister in the Ministry of Finance, Ubaldus Raymond said the new tax rules are likely to be unveiled in the new budget and denied that the island is a tax haven. Raymond said that Castries has complied with all the requirements of international regulatory institutions and that Prime Minister Allen Chastanet signed the automatic exchange of information in November 2016. Raymond said the main issue involves a harmonization of taxes which St Lucia is currently working to improve. “St Lucia and other countries that were blacklisted, I want to make it clear, these were not institutions dodging the agreement or the requirements of these international institutions but it had more to do with the imbalance in the tax regime. Raymond said St. Lucia is hoping to be off the European Union tax haven blacklist “very soon,” adding that the island is awaiting official notification of the blacklisting from the European Union. “I can say safely and very confidently, it will not take long before we are off that list because we are already, as a government, thinking in line of harmonized tax system,” Raymond added. 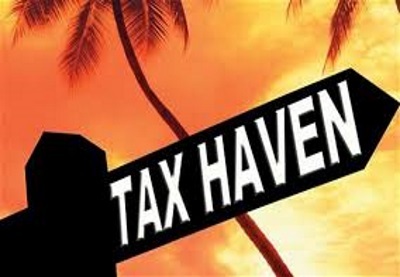 St. Lucia is among four Caribbean Community (CARICOM) countries named last Tuesday in the new list of global tax havens. The other Caribbean countries are Barbados, Grenada, and Trinidad and Tobago. EU finance ministers said the new list was drawn up after 10 months of investigations by EU officials. They said the countries on the blacklist were not doing enough to crack down on offshore avoidance schemes. Potential sanctions that could be enforced on members of the list are expected to be agreed in the coming weeks. The other Caribbean islands listed as tax havens have also denounced the EU position and called for their removal as soon as possible.